This year’s Melbourne International Jazz Festival took the Big Jam concept (opening the festival with a large, outdoor, audience participation music event) in a new direction with ‘With One Voice’. ‘With One Voice’ invited singers from a range of music traditions, all of whom use improvisation in their work, to teach a sample of their tradition to the audience. The Festival invited me to lead and facilitate the event, and devise a musical finale that would draw the different artists’ music together. With One Voice took place on 2 June and opened with Lamine Sonko. 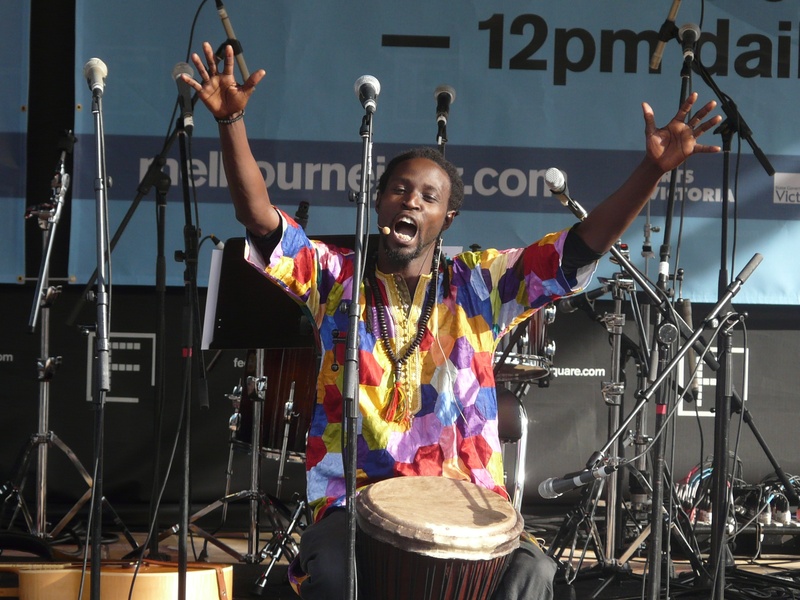 Lamine is an amazing performer, a Senegalese culture-keeper who is now based in Melbourne. He got us all dancing, clapping, and singing in Wolof language. 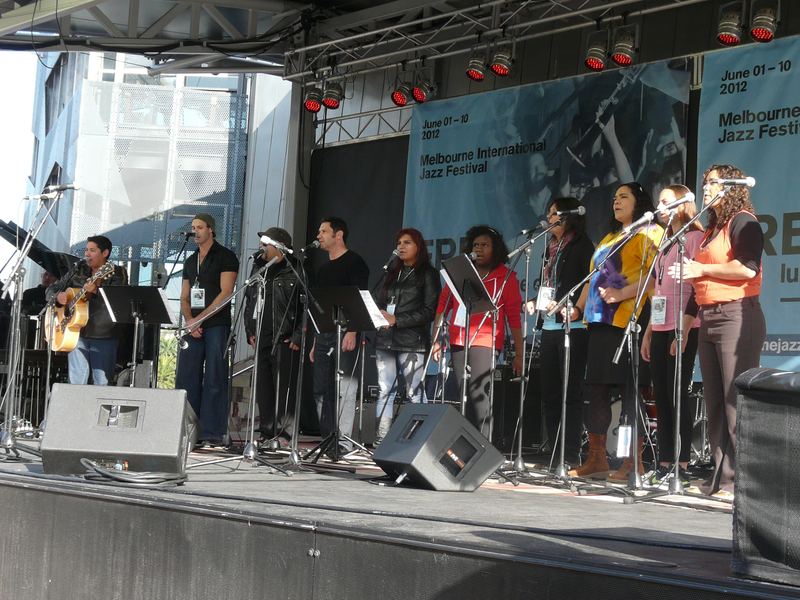 Next came the SKIN choir, a Melbourne-based indigenous choir that sings of urban indigenous experience. Each of the choir members is a professional singer-songwriter in their own right.